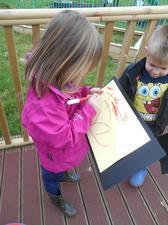 The children have been looking for signs of Spring this week. 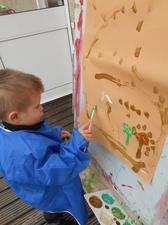 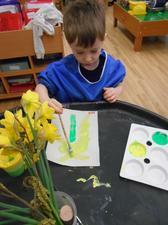 They have been looking closely at catkins and daffodils and have painted pictures of some for our 'Spring Garden'. 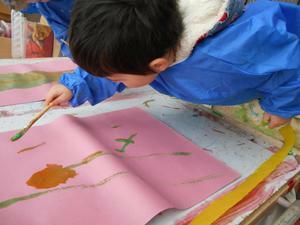 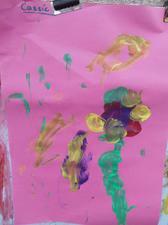 They were inspired to paint pictures of other flowers, mixing paint to make the colours that they needed. 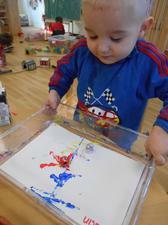 Alfie brought another sign of Spring into Nursery - frog spawn! 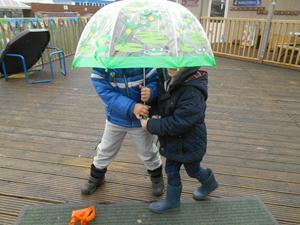 The frog spawn is already showing changes and the children cannot wait for the tadpoles to emerge. 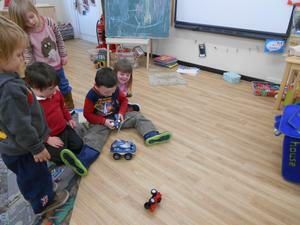 Our new remote control car arrived this week. 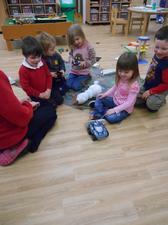 We have had fun learning how to control it. 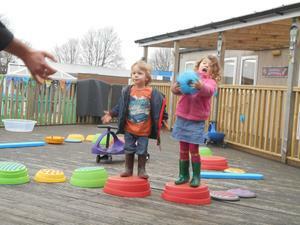 It is not easy but the children have enjoyed watching it trying to climb up walls and spinning round in circles. 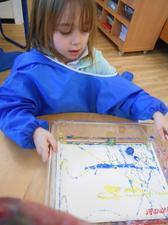 Have you ever mixed cornflour and hair conditioner? 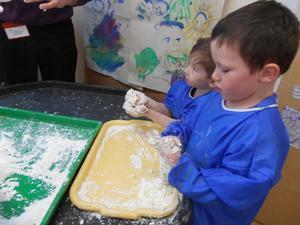 The children had a go this week and loved the sticky dough that it made. 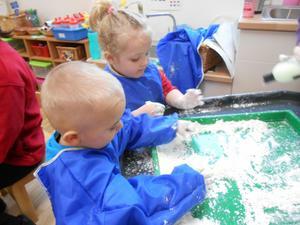 They were fascinated by the changes and asked for different fragranced conditioner so that they could see the differences in the dough. 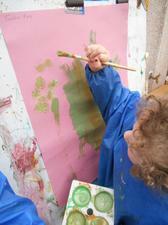 The Nursery has been covered in cornflour but has smelt wonderful! 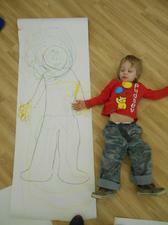 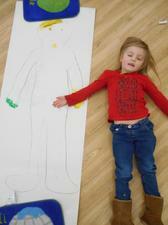 There is a selection of photographs of other things that the children have been busy doing this week.